Foundation for Jewish Camp - Free Way to Support Us! To build a strong Jewish future through transformative Jewish summers. Jewish camp has proven to be a highly effective vehicle for Jewish engagement of children, teens, young adults and families. Founded in 1998, Foundation for Jewish Camp is a catalyst for change throughout the field of Jewish Camp, training and inspiring camp leaders, expanding access to Jewish summers—and increasing demand. Foundation for Jewish Camp enhances the Jewish impact of those summers and develops programs to strengthen camps across the Jewish spectrum— including its signature One Happy Camper® program, which has enabled tens of thousands of young people to experience Jewish summers for the first time. 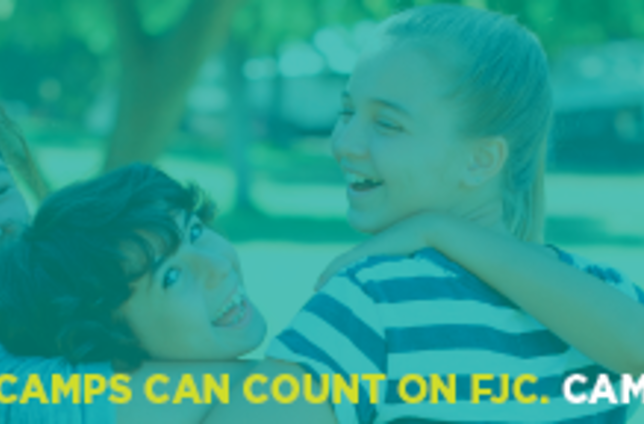 Foundation for Jewish Camp works with 250 day and overnight camps, serving approximately 200,000 youth, teens and college-aged counselors across North America. We'll donate to Foundation for Jewish Camp when you shop online! Once you’ve made a purchase with one of our participating stores, we make a donation in your honor to Foundation for Jewish Camp. Over $13 million has been raised so far!